You can’t get much more American than a tailgate. Pounds of meat, cases of beer, chips, dip and after hours of stuffing your face and abusing your liver, some football. Real tailgaters know: the tradition continues even when the cooler temps set in. In fact, firing up the grill on a blistering day with the snow coming down in all different directions is the ultimate way to earn a badge of honor. 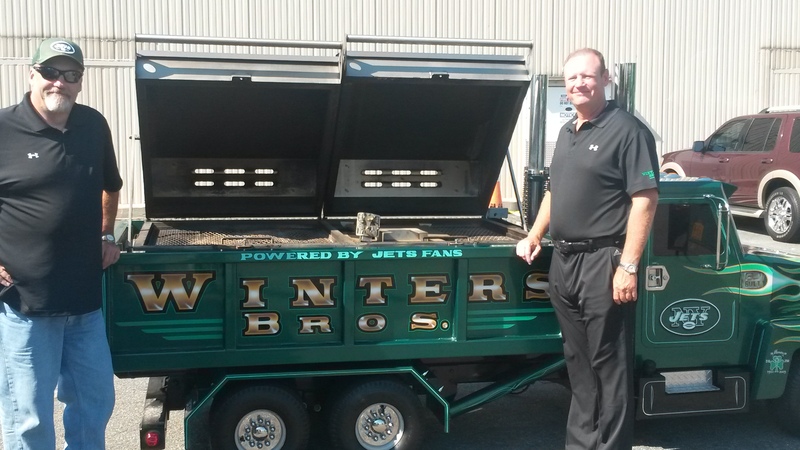 The Winters Brothers by their grill. 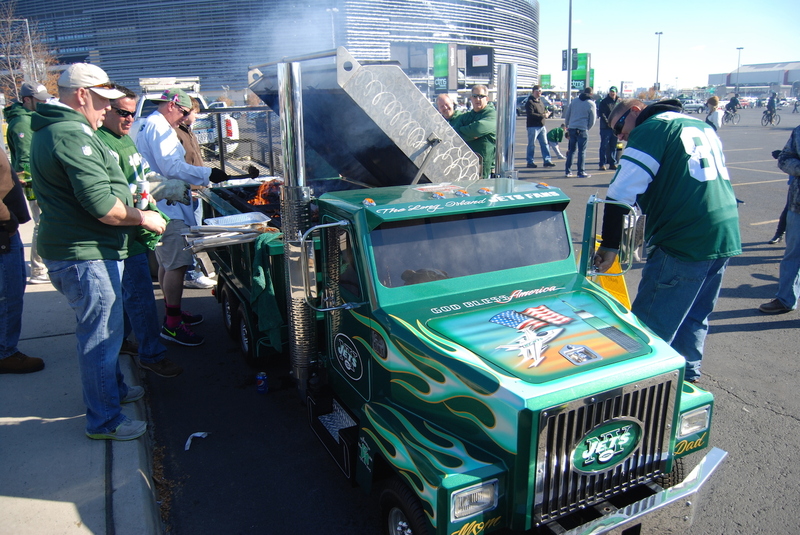 Just ask Sean Winters, who remembers driving to a Jets-Bengals game one season with seven inches of snow coming down. He got the grill lit anyway. “I just love the gathering of everybody. 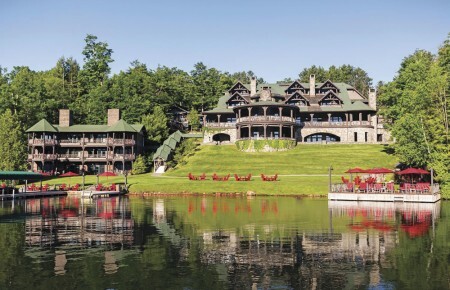 It’s an experience,” Winters said. 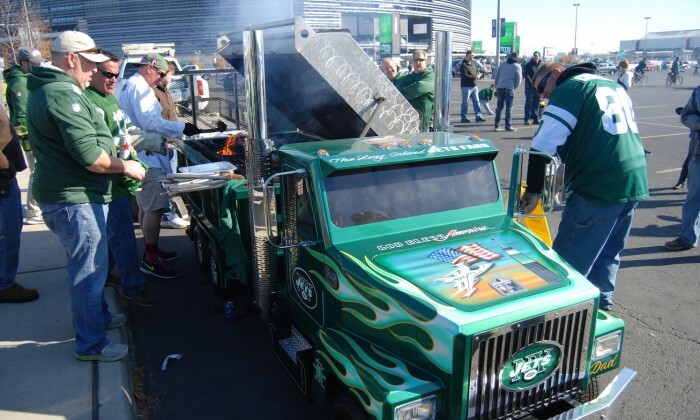 Winters and his four brothers, Joe, Jimmy, Michael and Andrew, have been tailgating at Jets games since 1991. 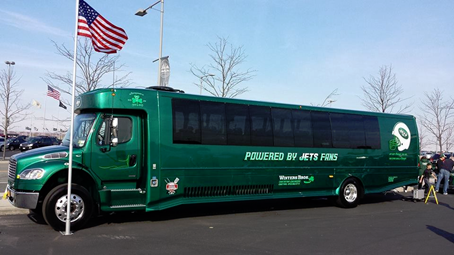 Since 2011, they’ve taken a 39-person bus full of people who bleed green and white to MetLife Stadium. Sometimes as many as 70 people meet them there, including Craig Carton of WFAN morning show Boomer & Carton. They’re so good at what they do they won the Bing 2010 Regional Tailgating Championship. To be honest, you probably won’t ever get on their level, but you can still have the ultimate tailgate before football season ends. Winters shared expert tips on what to bring, what to eat and how to man up and handle the cold like a true American. The brothers and their crew arrive in style in this 39-seat bus. If you want to tailgate properly, you can’t just get there an hour before the game. First of all, there’s likely to be a ton of traffic. Second, you want ample time for thirds and fourths. For a 1pm kick off, the bus leaves at 8am. “We get to MetLife at 9:30, the barbecue is lit at 9:45 and we’re ready to cook at 10:15,” Winters said. Mercep Brothers in St. James has been Winters’ butcher of choice from the start. He suggests bringing a piece and a half of meat per person. So what’s his menu like for 75 people? “Kind of crazy,” he said. Winters orders 20 large filet mignons, 15 large marinated rib eyes, 10 pieces of chicken cutlet marinated, 2 trays of ribs which are already cooked and need to be warmed up, 25 pieces of hot sausage and 25 pieces of sweet sausage. “We cook about 160 pieces of meat in two hours.” He also stocks the cooler full of coleslaw, bread for people to make sandwiches, chips, beer and non-alcoholic beverages like Gatorade, water and iced tea. “When we first started with eight people, it was all beer, there was no ice tea or anything like that,” he admitted with a laugh. With kids coming along for the rides these days, a better variety is key. 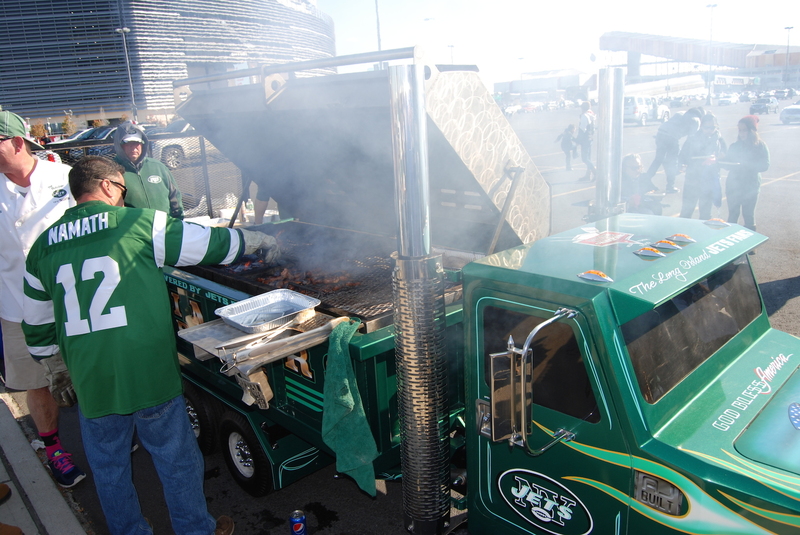 A Winters Brother tailgate is a meat-lover’s dream. With so much food and drink, so many people and a game to get to, you’d think the scene of the tailgate would look something like your teenage son’s room when it’s over. Not so, says Winters. “When we leave our tailgate, you can’t tell there were 75 people there. We pack up this whole little city in 15 minutes and you can’t tell we were there. We put all the garbage away.” Come with garbage bags and make it a team effort. You don’t want to ruin the fun for other people down the road.